Our company fabricates and exports a wide range of Surgical Equipment for its clients all across the globe. Our products in this range find applications in various clinics, hospitals, nursing homes, laboratories, dispensaries and ships. 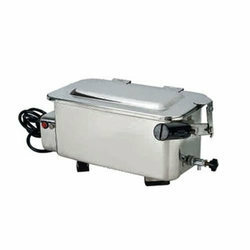 Some of the equipments offered under this category include Dressing Drums, Portable Sterilizer, Kidney Tray, Bowl Lotion, Tray Instrument and Sponge Bowl. 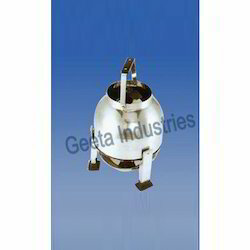 These are fabricated as per various IS norms and possess striking features like durability and corrosion resistance. 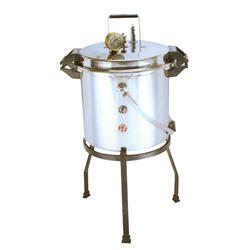 We bring forth a range of Vertical Radial Locking Autoclave that is widely acknowledged for high efficiency and performance. Precision engineered, our range is featured with compact designs, accurate dimension and better durability standards. 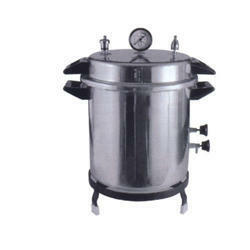 These autoclaves are made as per various IS norms and offered by us at most competitive prices. 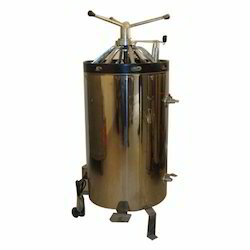 Our company offers Portable Single Drum Autoclave that is highly efficient apparatus designed to meet the requirements of small dispensaries, nursing homes, laboratories, medical missions, clinics, ships, operation theaters, pharmaceuticals and others. 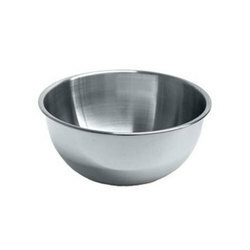 It is very simple to operate and economical to use. 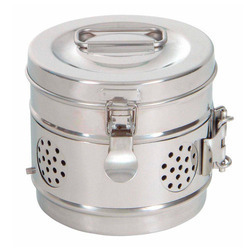 Its container is of seamless type and made of high quality thick stainless steel 304. We manufacture and export our qualitative range of Fumigator Aerosol Disinfectors that works with a powerful mechanism that instantly converts liquid farmaline in to true aerosol particles. Aerosol form is 100% biocidal with an adequate amount of penetrability to destroy every spore. The combination of aerosol farmaline and water works with a vengeance, permeating every crack and crevice. The fumigator aerosol disinfector unit is portable, handy and easy to operate and it virtually requires no maintenance. Every unit is tested in stringent quality measures before being delivered to our clients. 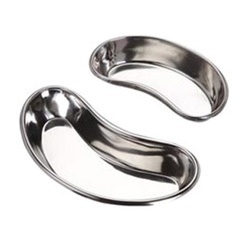 Made form stainless steel sheet. All dimension are as per IS-3993-1982. 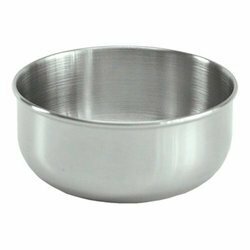 Made form stainless steel sheet. All dimension are as per IS-3992-1982. Introducing first time in India as per NDDB specification. 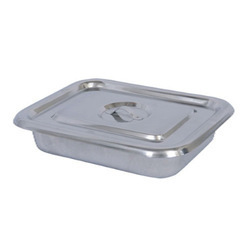 Tray is one piece moulded. A Product of choice in the medical field. Seamless shell & leyer operated Lid fitted with full proof mechanism control excessive steam escape and restricts condensate with in the shell. incredible synchroised manoevrability of lid, due to statistically perforated tray for flushing and entry of water. Highly adoptable of your growing needs. configuration design and material as per IS : 5022. 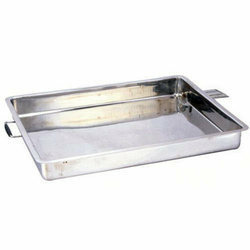 Made form stainless steel sheet. All dimension are as per IS-3991-1982. Looking for Surgical Equipment ?